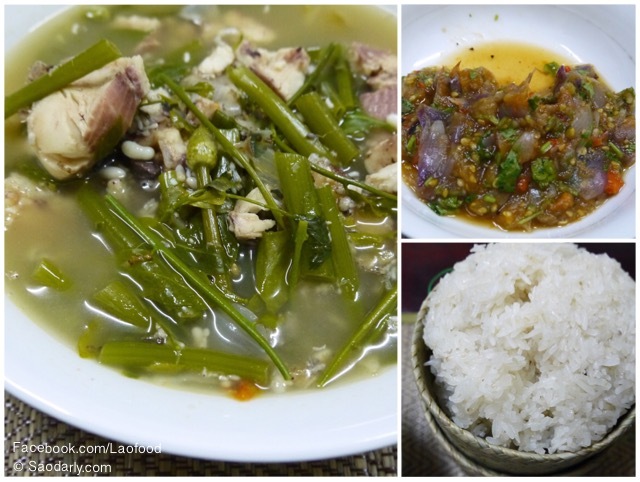 Snakehead fish and Ant egg soup (Kaeng Pa Kho Sai Khai Mod Daeng ແກງປາຄໍ່ໃສ່ໄຂ່ມົດແດງ) for dinner in Vientiane, Laos. The snakehead fish (Ophicephalus striatus – Bloch) is very popular in Laos. It was one of the first fish I knew by name as a little kid in Laos. You can put it in a soup, grill it, fried it, steamed it, stew it, and pretty much else you can think of ways of cooking the fish. 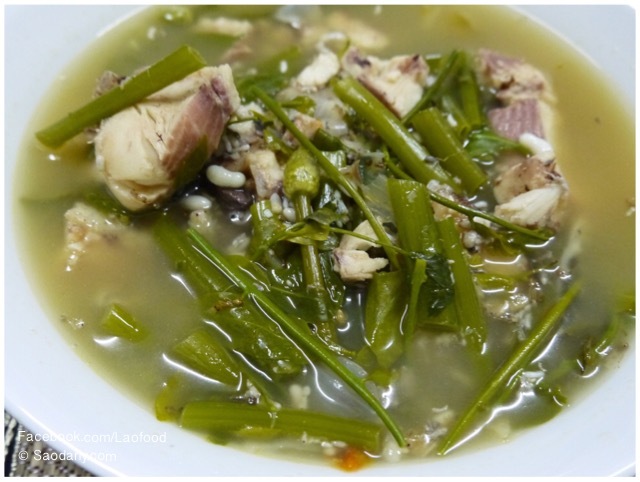 For this version of the soup, my aunt added a little bit of ant eggs, phak waan, and green onion flowers, just the way she likes to make it. 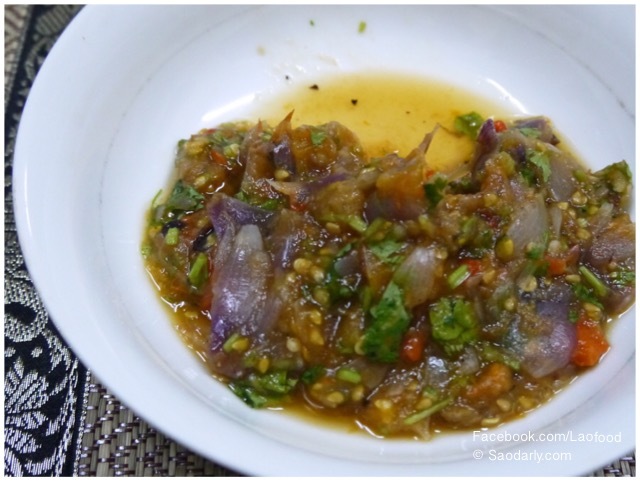 She also made Spicy Tomato Chutney (Jeow Maak Len ແຈ່ວໝາກເລັ່ນ to go with the soup. 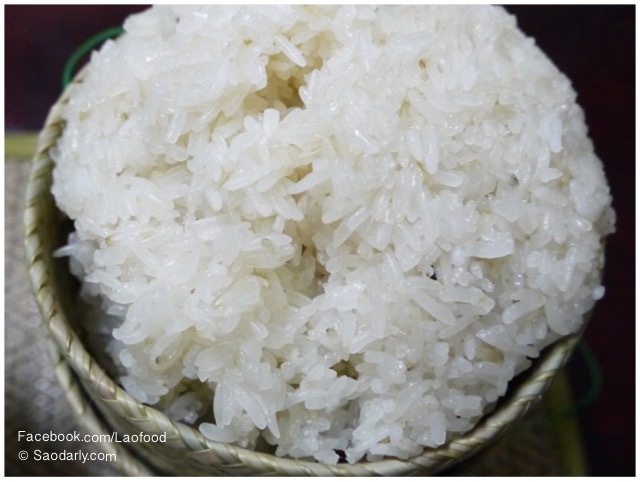 The meal was complete with plenty of freshly steamed sticky rice.